No matter where we are today working for whom, we can all agree that impressing our employer did not come easy! With multiple rounds of group discussions, practical tests and interviews getting a job can leave anyone with nightmares. Personality, work experience, and passion sounds all cool but here’s an insight on what actually leaves an impact on the employers other than that? CV! An impactful CV can do wonders and make things nothing but easy for you. 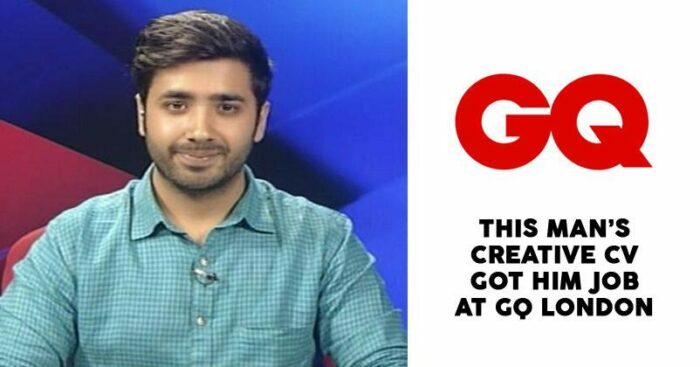 Proving this accurate and bang on was Sumukh Mehta who bagged a job at GQ Magazine in London through its impressive and creative CV. 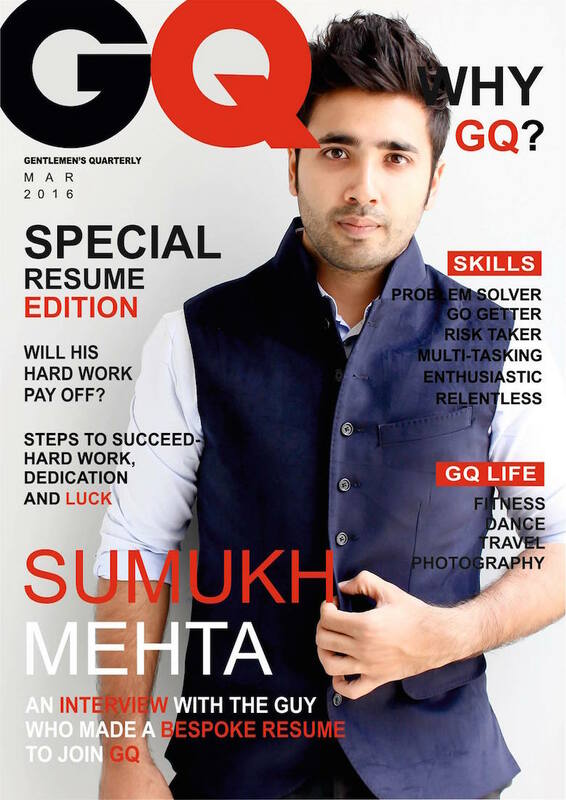 As recent as now leaving everyone’s jaw drop was 21-year old Sumukh Mehta who was offered a job at GQ London by the editor-in-chief without any interview. Looking at his 20-page magazine resume that shows his experience, academic abilities, interests and more the team of GQ was so impressed that they decided to skip the interview round and put him directly on the job. The much-appreciated CV took him 3 weeks to design with a little help from a graphic designer and a photographer who shot his photoshoot. While we sit crushing over his super amazing CV, we surely know how to put our photographer and graphic designer friends to use!